As part of its effort to improve communications with its shareholders, the company is providing its first quarterly update since the company ceased its SEC reporting in 2002. The following information is presented for informational purposes only and includes unaudited numbers from the company's current records and those made available by previous management. Some information may be incomplete or need to be updated if additional information becomes available at a later date. Global Water Technologies. Inc. (GWTR.PK) is a small public company that provides innovative non-chemical and filtration technologies for process cooling water and other uses. The company previously operated in the construction and sales of cooling towers. For information prior to 2004, please see the company's stock history. 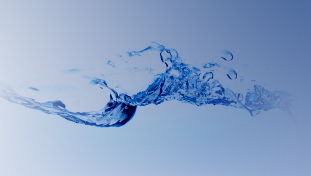 Global Water Technologies owns 90 percent of Electric H2O, Inc., a subsidiary that produces the patented ED2000 line of products. ED2000 uses a proprietary controller and offset coil fitted around a pipe which delivers an oscillating electric field to treat water. The products have historically been sold for use on cooling towers to reduce fouling and the formation of scale on heat transfer surfaces. Electric H2O also combines such treatment with filtration, using centrifugal separators and an innovative, self-cleaning screen filter system. Electric H2O, Inc. has ongoing operations utilizing contract manufacturing and distribution that generates both domestic and international sales. Historically sales volumes were minimal and uneven which resulted in poor economies of scale. Although sales revenues have been minimal, we expect they will continue to grow and the Electric H2O subsidiary should be profitable for the year. The company believes it has excellent relationships with its suppliers (including the one which has 10 percent ownership of the subsidiary) and is now positioned well to improve such operational efficiencies through increased marketing and sales efforts. During the past year, Global Water Technologies has also begun the process of identifying and developing new water technology opportunities through the formation of strategic partnerships and collaboration with other companies and organizations. This will allow the company to create additional value through the utilization of its contacts and ability to move quickly as a small company. Although previous efforts by the company to treat water produced in oil and natural gas production were unsuccessful, they led to two patent applications; one for the on-site production of sulfuric acid and a second for the use of forward osmosis to minimize produced water brines. Both applications have been completed and are under review by the United States Patent and Trademark Office. The company last filed federal income tax returns in 2005 and a Certified Public Accountant has been retained to review and prepare records for the subsequent years. In 2009, the company was notified by the Internal Revenue Service of two outstanding tax bills from 2005 and has paid one of those and is including the other in its current liabilities below. An initial review of financials for the five-year period since the company emerged from bankruptcy in 2004 suggests that no corporate income tax is likely to be due, since operating losses during that time were approximately $500,000 per year. The company has aggressively reduced its overhead during the past 18 months so that it can operate most efficiently and be positioned for profitable growth. In the third quarter, the company took steps to improve its balance sheet by allocating 140 million shares of its common stock that had been returned to its treasury over the past year. As a result, outstanding liabilities on September 30, 2010 were reduced by $360,000 to approximately $100,000. As of September 30, 2010, Global Water Technologies had 792,580,437 shares outstanding of its 1 billion authorized common shares, 574,521,145 free-trading shares and 173 shareholders of record. An additional 120,000,000 shares have been reserved for convertible promissory notes totaling $340,000 that were issued in the third quarter of 2010 for expenses incurred in 2009 and which have maturity dates in 2011 and 2013. The company has no other outstanding debt at this time. The company has not sold any shares of its common stock into the market since the end of 2008. Stabilizing the business operations without issuing new shares was a priority over the past seven quarters. The company is now evaluating what capital needs will be required for future operations and may issue new shares for such purposes. The company and its securities counsel are also reviewing the number of shares outstanding and the market demand for those securities. During the third quarter, Global Water Technologies stock traded between a high of $0.0012 and a low of $0.0004 with a close of $0.0009 on September 30, 2010. The stock ended the quarter down 10 percent year-to-date. A review of the company's shareholder list during the quarter reveals that a broader and more diverse base of individuals now holds the common stock than in the past. On July 30, 2010, the company had 160 shareholders each holding at least 1 million shares and who were located in 28 states across the United States and in nine other countries. Current management is focused on two areas; continuing to develop the business of Electric H2O in a profitable manner and seeking new opportunities to identify and develop new water technologies. The market for non-chemical water treatment solutions continues to grow as water scarcity and efficiency trends combine with stricter discharge regulations. As a result, technologies that can allow better use of water without the addition of chemicals are being sought by end-users, facilities managers and by traditional water treatment companies. The company is also exploring new applications for Electric H2O's technology and seeking ways to improve its functionality. Since water conditions and uses vary greatly from one location to another, new technologies are often best implemented with local partners and building such relationships is also a focus. Although the company to date has not recognized any licensing or partnership revenue from its intellectual property, it intends to explore such opportunities with any new patents that may be issued. In addition, Global Water Technologies has also been exploring several new technologies that may present opportunities for future business development. The company created its first advisory board in the third quarter and believes that the initial three members bring valuable experience with both professional and geographic diversity. The advisory board members bring perspective in three key areas: navigating the challenges faced by companies operating in difficult circumstances, developing non-chemical water technologies using electrical fields and identifying commercialization opportunities for new water technologies. The advisory board members have not been compensated by the company for their services in that capacity. However, the company may engage them or their related companies for additional services or projects. Global Water Technologies faces numerous risks in implementing its business plan. The company is a small entity with minimal resources and has not operated profitably since emerging from bankruptcy in 2004. As such, the company's access to credit markets is limited and it has been dependent on sales of equity securities and advances from directors to meet the majority of cash requirements. Global Water Technologies trades on the pink sheets and is considered a penny stock which limits the number of investors willing to purchase the stock. Investing in micro-cap, small cap, and emerging growth securities is highly speculative and carries an extremely high degree of risk. Trading volumes and market prices on the pink sheets are often very volatile. It is possible that an investor's investment may be lost or impaired in its entirety.